Breakaway Twin Rivers Caravan Park is situated in a great location with a tonne of family friendly attractions nearby. Here are a few of our favourites. Call us and ask about the rest. Lake Mountain is the perfect family snow fun mountain. It is a great place for tobogganing, and general family snow fun. Offering world-class cross country ski trails, snow shoeing, exhilarating toboggan slope, flying fox, tube run and laser skirmish it’s a great family destination. 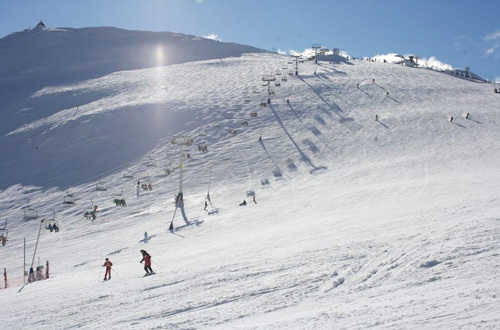 It’s great value for the family with prices that are much cheaper than nearby Mount Buller. After the snow is gone Lake Mountain becomes a mountain biker’s paradise with trails running all over the mountain. 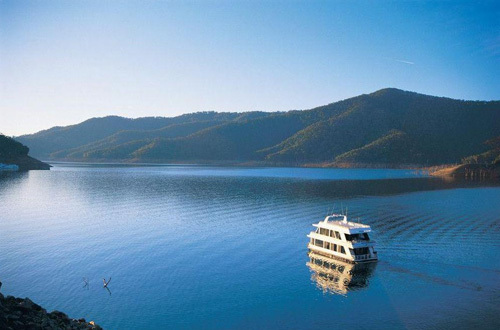 Lake Eildon is a beautiful sprawling lake and river system that stretches for miles. There is something to occupy any water lover somewhere on the lake with fantastic fishing spots, great places to swim and areas to take the boat out for some water sports. 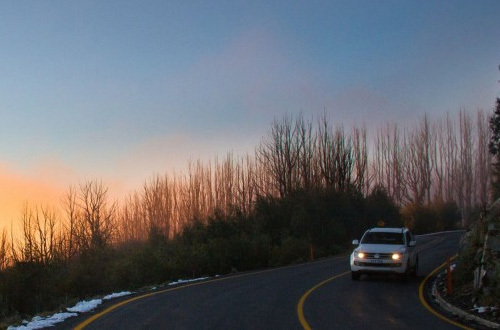 Only a quick road trip away Mount Buller is one of Victoria’s premier ski mountains and another great mountain biking location during the summer. Offering a wider variety of skiing and mountain biking compared to the local Lake Mountain, if you’re a more serious skier a day trip is a great option. 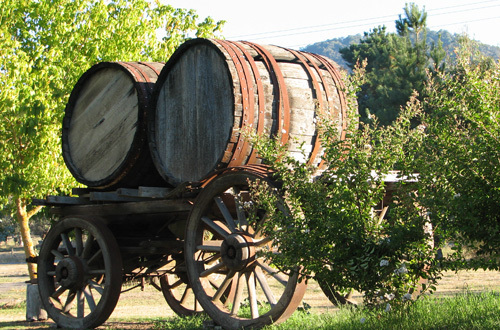 One of our favourite local wineries (and there are a few) Snobs creek produces a great range of wines and offers a great experience through their cellar door opening tastings. Try this or one of the many other wine experiences the region has to offer. 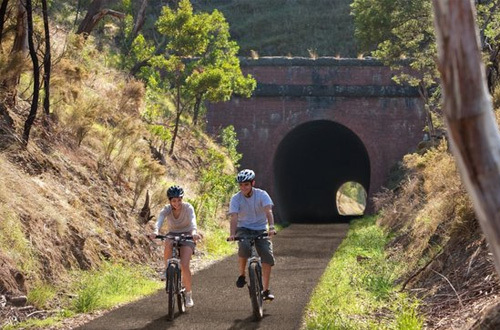 Keen cyclist then bring those bikes along with you and enjoy the Great Victorian Rail Trail.